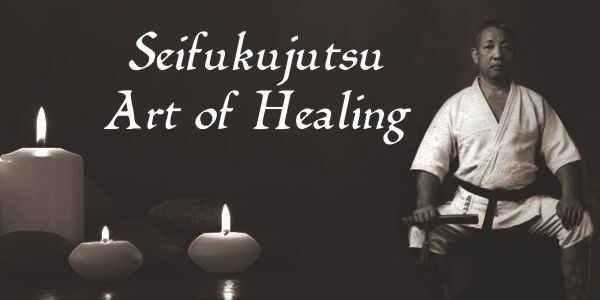 Seifukujutsu is the art of healing developed and propagated in Japan as much as 1200 to 1600 years ago. The origins of the art are rooted in Traditional Chinese Medicine. Seifukujutsu literally means to ‘restore and replace’ and consists of herbal medicine, of Nihon Kaifuku Anma (amma) (Japanese restoration massage), Sekotsu (bone setting) techniques, Sotai (whole body movement (kinesiology), hydro-therapy, acupressure, auricular therapy and reflexology. 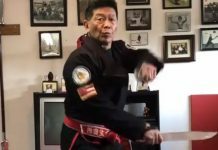 The Doctor of Seifukujutsu is trained in breathing techniques as well as exercises to effect muscle balance and restore tone. 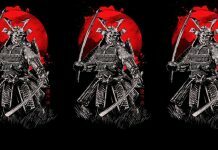 To become a Dr. (Isha) of Seifukujutsu is a process of learning all of the above as well as diagnostic techniques including tongue (Zetsu Shin), pulse, abdominal, back and meridian (Setsu Shin), facial, visual (Bo Shin), among others. Just as in the martial side of the arts, an in depth understanding of anatomy, physiology, and pathology is required. The usual number of hours to reach ‘Isha’ (Dr., Practitioner, Physician) is generally 2000 hrs. 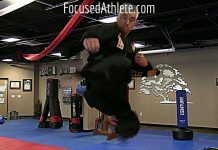 When one trains in the martial arts, the training never stops. A concept lost to the martial artist in the west. From the Kamakura Period (1185-1333), to the Tokugawa Period (1600-1853), the healing arts remained mostly with the religious factions and the bushi, (warrior) class. From time to time you would hear of an ‘Oisha’ (physician or practitioner), in the employ of the imperial family or other hierarchy, but for the most part, they were few and far between as the government was in conflict with the religious groups for controlling the direction of the country. Seifukujutsu has been practiced in its present form for about 1600 years. It has been used for maintaining the normal functions of the body, for healing anything from paralysis to malaria. The practitioners of this art are considered the premium miko of the culture for they use non-invasive, natural techniques to achieve healthy patients, families, and communities. ‘Kaifuku Anma’ and were given the responsibility of preparing the patients for further treatment. Because the technique was so critical, the apprentice had to do 1 to 2 years as a preparation. The next level of training was the ‘Seifukujutsu’ treatment level. The apprentice would prepare the patient and then an advanced trainee treated the patient. The apprentice would observe the treatment techniques but was not allowed to work on the patient. This training went on for 1 to 2 years and then the apprentice was given the opportunity to “treat” the patients at the second level under the supervision of the upper level trainee. Just as the 2nd level mentored the 1st level apprentice, so the 3rd level mentored the 2nd level. The 3rd level was the done by trainees with years of experience. This was diagnosis. Because it was so critical, this level was considered sacred, as a mistake could result in aggravating the illness or even in the death of the patient. The 2nd level trainee was only allowed to watch the procedure for the 1st year and then was given the opportunity to learn under the scrutiny of the upper level mentor. The mentor would diagnose after the student so the corrections could be made and once again checked by the trainee. The training went on for 5 levels including ‘Kampo’ (herbology +), Mogusa (moxibustion), Cupping, etc. 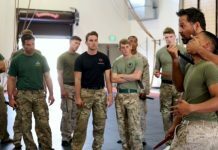 As each trainee passed his level of introduction, another would take his place and he would move to the next level of instruction. When one reached the 5th level, you would train for several years and then be granted the title of ‘Oisha’ (physician or practitioner). They were then able to practice on their own without an overseer. Seifukujutsu today is taught and practiced in much the same manner as in the past. The art was first introduced into the Western world through the territory of Hawaii. The man most responsible for the propagation of this healing art was Henry Seishiro Okazaki. He practiced the art in the 1920s up until his death in 1951. He was world renown for his healing techniques and was even approached by Pres. Franklin Roosevelt to be his personal physician. The students taught by Master Okazaki were many, however, most of them did not receive the complete training in the art of Seifukujutsu. 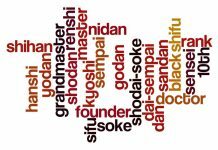 Some of the more famous students of Master Okazaki were Richard Rickerts, Bud Estes, Sig Kufferath, Jack Wheat, and Carl Beaver among others. Not all of these students received training beyond the basics. For the most part, they were trained in only the Kaifuku Anma, (restoration massage). As the years have passed, the art has been passed on by so few in its complete form that most people think the Kaifuku Anma “is” Seifukujutsu. As you can see, most practitioners in the United States today, only practice the Restoration massage. 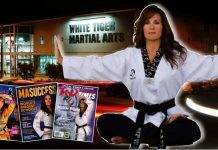 If you are looking for instruction in the ‘massage’ there are several martial art organizations that teach the basic introduction massage. The complete art is still practiced in Japan and is considered one of the highest levels of medicine in Japanese culture. To be certified an Oisha in Seifukujutsu requires a minimum of 2000 hours of training and it is still done in the traditional mentor- apprentice fashion in most places.